The New Bedford Education Foundation (NBEF) is a fund of the Community Foundation and supports educational opportunities for New Bedford Public Schools’ students beyond what is funded through the school budget. NBEF solicits and channels funds used to enhance and expand the educational opportunities provided to students of New Bedford Public Schools. NBEF is independent of the School Committee and public revenue sources and is a fund of the Community Foundation of Southeastern Massachusetts. MISSION: To promote New Bedford Public School excellence through the awarding of privately-funded grants aimed at (a) providing transformative educational opportunities for students in New Bedford Public Schools, (b) supporting professional development for members of the faculty and staff at New Bedford Public Schools, and/or (c) strengthening the partnership between New Bedford Public Schools and members of the community they serve. VISION: We envision New Bedford Public Schools as places where students are challenged and engaged in both inquiry–based and project–based learning, where students have access to state-of-the-art educational resources, where innovation is the rule…rather than the exception, and where students grow to become eager lifelong learners, not only proficient in present-day technological and analytical skills, but motivated to make a positive impact on the world in which they live. Jill has been a lifelong supporter of youth education and the arts. 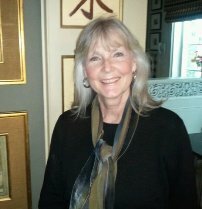 In 2008 Jill moved to New Bedford from Naples, Florida, where she was a licensed interior designer and a realtor. In Naples, she served on the board of the United Arts Council of Collier County and supported many other non-profit organizations for the benefit of the community, among them promoting music, supporting the disadvantaged, political campaigning, and promoting tourism. Upon moving to New Bedford, Jill was drawn to New Bedford’s historic downtown library with its outstanding art collection and volunteered in the Art Room. She joined the board of the Friends of the New Bedford Free Public Library and soon became the president of that organization. 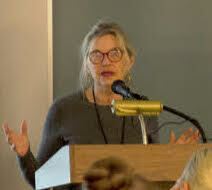 In 2012 Jill created and received funding for a unique humanities program for middle school youth in New Bedford called Art in Words, connecting the library’s complete collection of John James Audubon’s Birds of America with Gary D. Schmidt’s book Okay for Now, winner of the 2012 Children’s Choice Book Award. In addition to devoting much of her time to developing and promoting arts and literacy programs for city youth, Jill recently started a Girls Who Code club for middle school girls at New Bedford Public Schools. 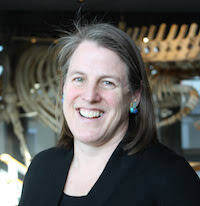 Sarah W. Rose – Vice President, Education and Programs, has worked at the New Bedford Whaling Museum since 2014. Her primary responsibility is to oversee the museum’s educational efforts by implementing its strategic vision and communicating the educational mission and goals to various audiences. 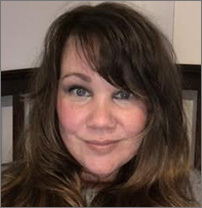 Ms. Rose is an experienced teacher and project manager who oversees staff responsible for a comprehensive K-12 school program, the High School Apprenticeship Program, internship program, adult visitation programs, volunteers, digital initiatives, and community outreach and engagement. Ms. Rose holds a BA from Wheaton College, MBA from New York University-Stern School of Business and MAT from Simmons College. 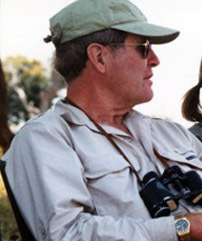 D’Arcy MacMahon, a graduate of the University of Pennsylvania and the Harvard Business School, brings to his position as the Executive Director of the Lloyd Center for the Environment the unique combination of more than two decades of professional management and strategic planning experience in the world of corporate finance, a long history of teaching children’s outdoor activities, and over five years of leadership in the non-profit world. An avid outdoorsman and former New England double–sculling champion, MacMahon resides in Dartmouth with his wife Ivy, a psychotherapist and member of the staff at SouthCoast Hospitals Group. Born and raised in New York, New York. Attended all New York State schools. Married Scott Lang in 1973 and moved to Washington, D.C., where he attended Georgetown Law School and where I worked on Capital Hill for Congressman Claire W. Burgener from San Diego, California. In 1978 the Lang family moved to New Bedford. Scott became an Assistant DA and Attorney and Gig started raising two boys and one girl. All of the Lang children now work and live in New York City: one in theatre, one in law school, and one in television production. For the past five years, Gig has worked with Scott in public service for the great city of New Bedford. She is very proud of its history and its residents. Steven A. Beauregard, Executive Director of the New Bedford Housing Authority has been with Authority since 2001, initially as Director of Leased Housing then chosen to lead the Authority in August of 2010. Steven also has six years of experience working with two other local housing authorities and was previously the Executive Director of the Westport Housing Authority. In his tenure as Executive Director, Steve has been successful in procuring and obligating numerous grants for the Authority and recently refinanced a $15 million bond. He is a graduate of Southeastern Massachusetts University with a Bachelor of Science in Business Management as well as earning two Associates degrees. Steve is a certified Massachusetts Public Housing Administrator and is a recent graduate of the Rutgers University Center for Government Services. He has an extensive managerial and computer background and sits on various boards in the community. Jennifer Ferland is the Director of Supplemental Services for New Bedford Public Schools and has worked in the district for more than fifteen years in total, with over ten years in the NBPS grants office. She has served as Grants Facilitator for NBPS, overseeing grant implementation for the MA 21st Century Community Learning Centers, and sustained more than $9 million in Department of Elementary and Secondary Education-funded programming at competitive levels. She has also served as a Grants Financial Coordinator and District Court Coordinator for the Bristol County District Attorney’s Office, as well as a program social worker and mental health counselor locally. With a deep knowledge of education, school finance and grants, Jennifer is a licensed teacher and administrator, holds a Master’s degree in Public Policy with an education concentration from UMass Dartmouth, and a B.A. in Psychology from UMass Amherst. 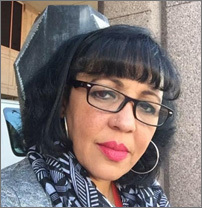 Maria Angela Rosario has served for 12 years as executive director of NorthStar Learning Centers, a minority-led nonprofit organization that serves disadvantaged New Bedford area children, youth, and families. Leading with cultural intelligence, firsthand experience, and familiarity with evidence-based practice, Maria has created many innovative programs that have proved successful in reaching the “hard-to-reach” and treating the “hard-to-treat.” In the course of providing services, NorthStar has under her leadership played a critical role in representing the interests of communities of color, including working to improve the cultural competency and responsiveness of schools, courts, and other youth-serving institutions. For more than two decades, Maria has been active in community and state-level planning and advocacy groups to remove historic barriers and open pathways for all children, youth, and families to achieve a better life. Motivated and informed by her own uphill struggle to overcome the cultural, language, and class barriers to succeeding in school, Maria has been a leader in efforts to raise the level of student achievement in the New Bedford Public Schools and other communities. A seasoned leader who leads with cross-cultural awareness, she has been instrumental in building bridges between schools, families, and communities. Maria has received local, state, and regional awards for her leadership in promoting community, school, and other positive change. In 2002, she won New England Grantee of the Year from the New England Minority Business Development Agency. More recently, she was recognized by the Providence, RI-based Latino Public Radio for her exceptional leadership and dedication to community in its multiple dimensions. 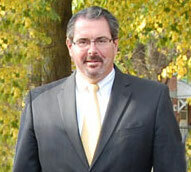 Jeffrey Pelletier serves as the President of Junior Achievement of Southern Massachusetts. Junior Achievement is the nation’s largest organization dedicated to giving young people the knowledge and skills they need to own their future, focusing on the critically important content areas of career readiness, financial literacy and entrepreneurship. Junior Achievement of Southern Massachusetts – headquartered in the City of New Bedford – reaches nearly 5,000 students each year across 21 cities and towns. Previously, Pelletier supported the strategic economic development agenda of the City of New Bedford, Massachusetts as the Business Development and Communications Officer for the New Bedford Economic Development Council. Pelletier also served as the Program Director for Executives Without Borders, a non-profit organization dedicated to engaging the business community in solving the world’s greatest humanitarian challenges. 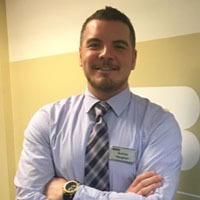 Pelletier graduated from Methodist University in North Carolina with a degree in Business Administration and is also a graduate of Bishop Stang High School and the Leadership SouthCoastProgram. He volunteers as a member of the Board of Directors for Leadership SouthCoast, the New Bedford Education Foundation and Missions for Humanity. He is a member of the New Bedford Economic Development Council and volunteers for the Ron Burton Training Village each summer. 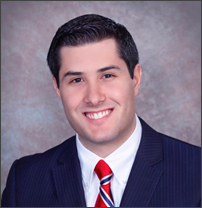 Pelletier was a nominee for the 2014 and 2015 SouthCoast Emerging Leader Award. Terry Wolkowicz is the Education Director for the New Bedford Symphony Orchestra. Terry's innovative and creative approach to designing music education curriculum has made the NBSO a leader in educational programming. Terry received her bachelor’s degree in music education from the New England Conservatory of Music and a master’s degree in education from Harvard University. She has presented at numerous national conferences on concept-based arts integration including the 2017 National Science Teachers Association, the 2013 and 2017 League of American Orchestra’s Conference, the 2016 Association of Zoos and Aquariums National Conference, the 2016 Massachusetts Music Educators Association Conference and other local and state STEM (Science, Technology, Engineering and Math) conferences. 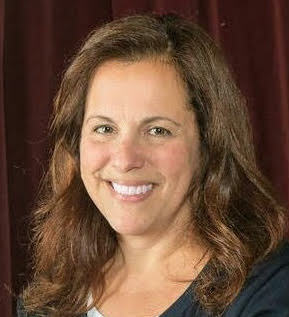 She has written articles about the Learning in Concert model and concept-based arts integration in the Music Educators Journal, the AZA’s Connect Magazine, Eastman School of Music Paul R. Judy Center for Applied Research, and Musicovation. New Bedford, Nathan attended NBPS until he moved to Marion in 1998 and graduated from Old Rochester Regional High School in 2004. He spent his early career in the banking industry beginning as a teller, serving as a Loan Servicing specialist and then promoted to Assistant Branch Manager for then Mayflower Bank. Nathan currently is the administrative assistant to the Dean of the New Bedford Campus at Bristol Community College and the Assistant Director of Recreation for the Town of Marion. At BCC, Nathan works directly with the administration to develop college programming, support staff, and faculty on campus, and ensure student success. He also serves on the BCC Budget Committee, the BCC Wellness Committee and is a member of the New Bedford Campus Emergency Preparedness team. As Assistant Director of Recreation in Marion, Nathan is in charge of providing quality sports programs, recreation opportunities, and community events to the town's more than 5,000 residents. He is also responsible for hiring and training staff members for the more than 40 program and community events that are coordinated each year. In this capacity, Nathan is a member of the Fireworks Committee, The Fourth of July Parade Committee, is the Recreation Representative on the Stewards of Community Open Space (SoCOS) all for the Town of Marion and is the Treasurer for Old Rochester United Youth Soccer. Nathan was also a recipient of the Commonwealth Citation for Outstanding Performance in 2016. Nathan truly believes in the future of New Bedford and looks forward to his work on the board to support the city’s students and teachers. Martin Wood is a somewhat retired real estate developer. He was born in a displaced person camp in Landsberg Germany to parents who survived the Holocaust. He immigrated to the U S A with his parents and grandfather when he was 5 years old. His grandfather raised him because both his parents worked to make ends meet. English was not his first language, and school was difficult at first. Martin has served on many boards most recently on the board of the Zeiterion, and on the board of New Bedford Festival Theatre. He is well educated and education is important to him. He feels strongly that everyone benefits from education and that is one reason he is serving on the board of The New Bedford Education Foundation. The NBEF and its all-volunteer Board of Directors is committed to ensuring that all funds distributed through its grant programs benefit the children of the New Bedford schools and align with the mission and goals of the Foundation. Financial transparency is paramount to informing stakeholders and the public about the kinds of distributions made by the Foundation and the target funding areas. The Treasurer’s Report graphic highlights the Foundation’s most current Operating Account information as well as Investment Account details. The Grants Program table shows where the Foundation’s investments have been targeted for 2011-12 and 2012 through summer 2013. Note that in this one-year period, distributions increased some 9 percent. The graphics (in our downloadable Treasurer’s Report PDF) highlight the current grant programs and their associated proportions of total grant funding. For further information on grant distributions, contact NBEF at info@newbefordeducationfoundation.org.